Registration: $15 – Register before April 5th for an Early Bird Discount! Sikome Lake: Join us for a 5kmwalk on a stroller and wagon friendly paved trail. Enjoy the morning’s family festivities! 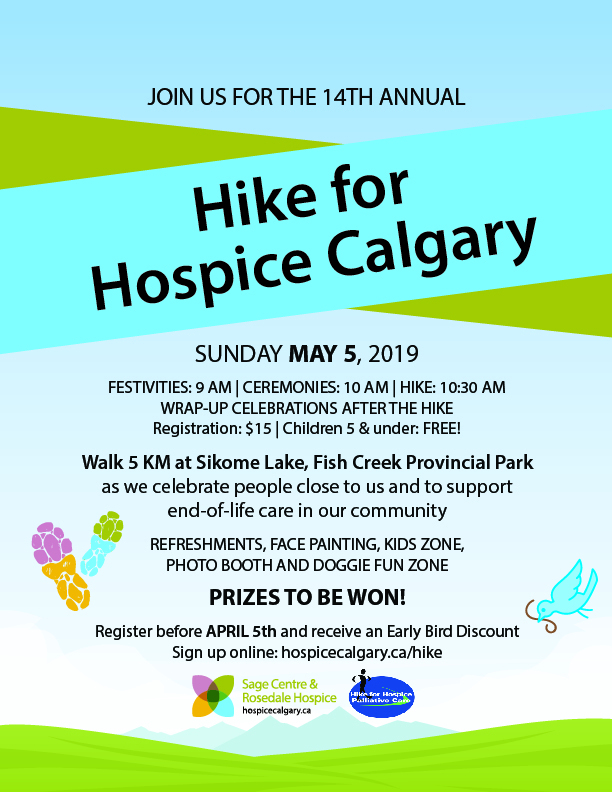 Hike for Hospice Calgary is a fun, family and fur-friendly event that raises critical funds and awareness for our clients and families. Arrive an hour early for light refreshments, photo booth, face painting, kids zone, and doggie fun zone.